Due to expansion in 2017 we are looking to recruit additional tutors for Redhouse Performance Academy. The last Feel Good of 2016 and as I write this and reflect over the year we've had (and what a year it's been) I write this with excitement for what the future holds not just for me but for each and every one of you. We don't know what the future holds and that's exciting because it's our duty to mould it into the future we want for ourselves. Pukka Productions (Barry) are looking for CAPTAIN WALKER for our forthcoming production of 'Tommy' Father to Tommy and husband to Mrs. Walker aged circa 30-40. Must be available for February 23rd-26th for the show. Performance at Norwegian Church, Cardiff Bay. For my penultimate Feel Good I've chosen to do it a bit didferent and post it later as it's my final one before Christmas and many people will be on thier way home tonight so I thought they could read it this evening. Are you interested in helping us build links between Wales and the world? If you are a senior professional with expertise in arts or education you might like to consider applying. The eight national companies of Wales are seeking an experienced freelance consultant to develop the shared agenda and priorities set by the collective to ensure a fully inclusive arts sector is achieved throughout Wales. With Christmas a week away and the new year approaching us we are almost saying goodbye to 2016 and what a bizarre year we've had. And not long now you'll all be making your New Years resolutions. And as we go into Christmas and new year there will be people who want to ruin your plans and dampen your dreams but to that I simply say .. keep trying! Omidaze Productions are seeking to recruit an experienced Technical ASM for their forthcoming WMC co-production and tour of Romeo & Juliet. We are particularly interested in hearing from applicants with experience in relighting. Role to include regular ASM rehearsal room duties also. Dates March 6 – May 14 2017 10 weeks @ ITC/Equity minimum. Fio are on the lookout for Cwmbran and Porth based actors for a project in the new year. We're still looking to confirm dates, so at the moment we're just keen to see CVs, and as soon as we've got more concrete details we'll be in touch. We're also keen to hear from workshop facilitators as well (who are DBS checked). Theatre Bristol: What Works Wales? 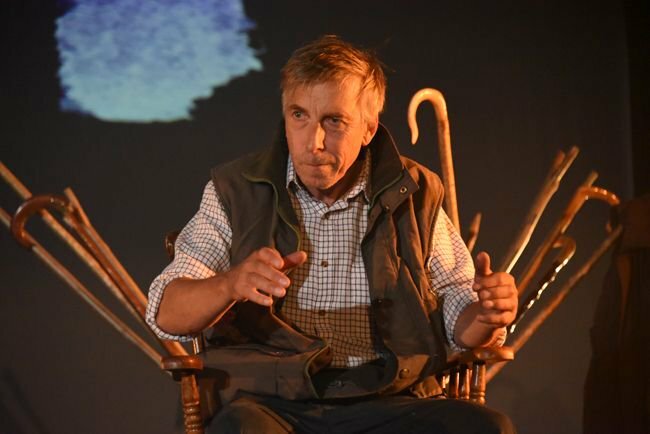 'Theatre Bristol has been commissioned by the Arts Council of Wales to research and report on how shared producing resources in Wales could give everyone a better deal. We may have already spoken to you at the Creative Gathering or at meetings in Cardiff, Swansea, Snowdonia National Park and Carmarthen but there may be more you want to say - and we'd love to hear any additional thoughts. Please read the below blurb and check out the crowdfunder for what will be an important film! Sophie Warren, on writing for "A Crappy Scratchy Christmas"
Just want to write a few words about yesterday's performance of Love Steals Us From Loneliness. It was a really great little piece. An emotional rollercoaster with genuine laughs and genuine tears. I choked towards the end and others had definitely wiped away the tears. Great work from the two actors for carrying a difficult first half. It all came together to wonderful effect in the second. Great work everyone. Well done, and thank you. What a year 2016 has been and it's only 3 weeks of it left! Christmas will be here tomorrow and we'll be toasting in the new year straight after. A lot has happened this year and in some cases it has made us anxious for the future. But who knows what the future will hold. For my second critical chinwag outing I found myself travelling to Cardiff and my first visit to the Chapter Arts Centre in some years. And what a great small arts centre success story it is! It was great to be back. 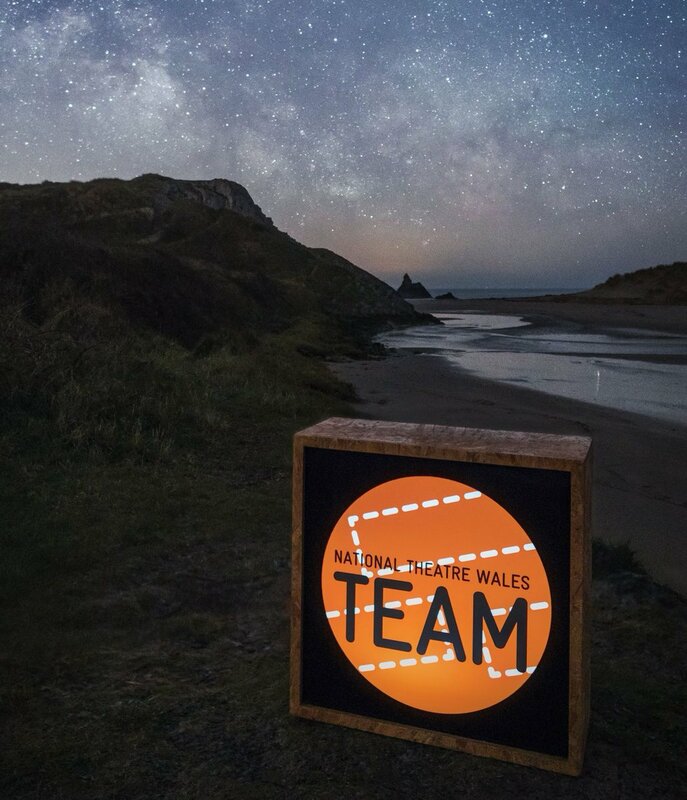 I was delighted to host the Critical Chinwag for We Made This' production of Light Waves Dark Skies, especially as it was originally supported by WalesLab. The piece has really developed under Matt Ball's direction but is very much a collaborative piece, made through devising. London Casting for first table read of"Uneasy Dreamers." Uneasy Dreamers, award winning author Wayne Adrian Drew’s new play, is a literary fantasy based on the complex lives, thoughts and beliefs of four real, ground-breaking, but very troubled, artists.